A nice and fully-featured I2S stereo DAC for you! This fully-featured UDA1334A I2S Stereo DAC breakout is a perfect match for any I2S-output audio interface. It's affordable but sounds great! The NXP UDA1334A is a jack-of-all-I2S-trades: you can use 3.3V - 5V logic levels (a rarity), and can process multiple different formats by setting two pins to high or low. The DAC will process data immediately, and give you a clear, analog, stereo line level output. It's even cool with MCLK-less I2S interfaces such as the Raspberry Pi (which it's ideal for) - a built in PLL will generate the proper clock from the incoming signal. For inputs, you can use classic I2S (the default) or 16-bit, 20-bit or 24-bit left justified data. You can set it up to take an input system/master clock but we default-set it to just generate it for you, so you only need to connect Data In, Word Select (Left/Right Clock) and Bit Clock lines. If you want, there's a mute pin and a de-emphasis filter you can turn on. We put in plenty of ferrite beads, a low-dropout regulator, and the recommended band-pass filter so you get a very nice clean output. With a sine-wave generator we swept through 20-20KHz and saw no attenuation or distortion. 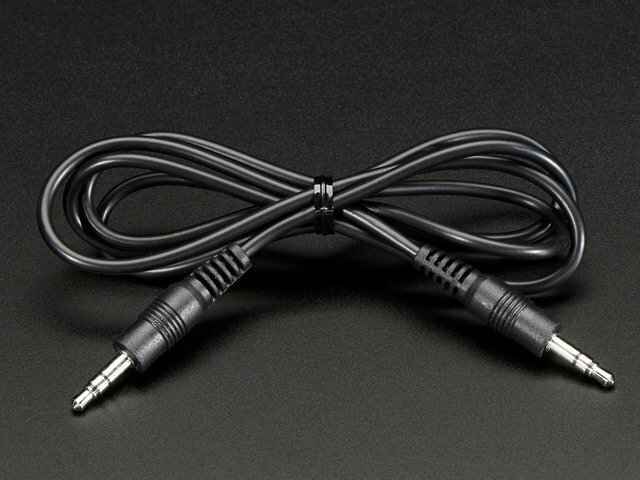 Plug into either the 3.5mm stereo headphone jack or the breadboard-friendly pads. We think you'll be pleased with this DAC! 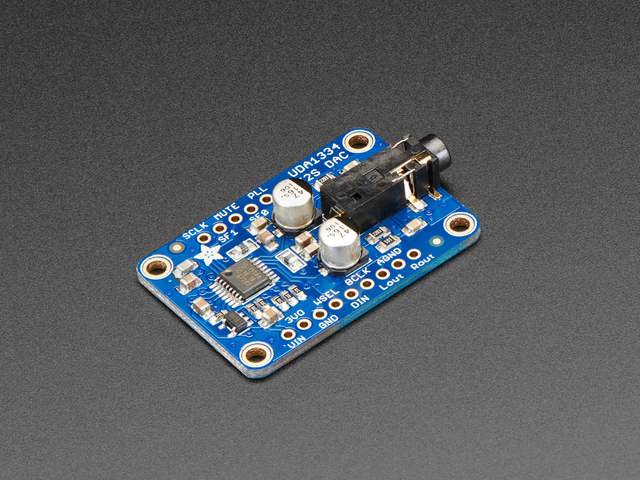 Each order comes with one I2S Stereo DAC breakout and some header you can solder on. This guide was first published on Nov 21, 2017. It was last updated on Nov 21, 2017. This page (Overview) was last updated on Apr 20, 2019.